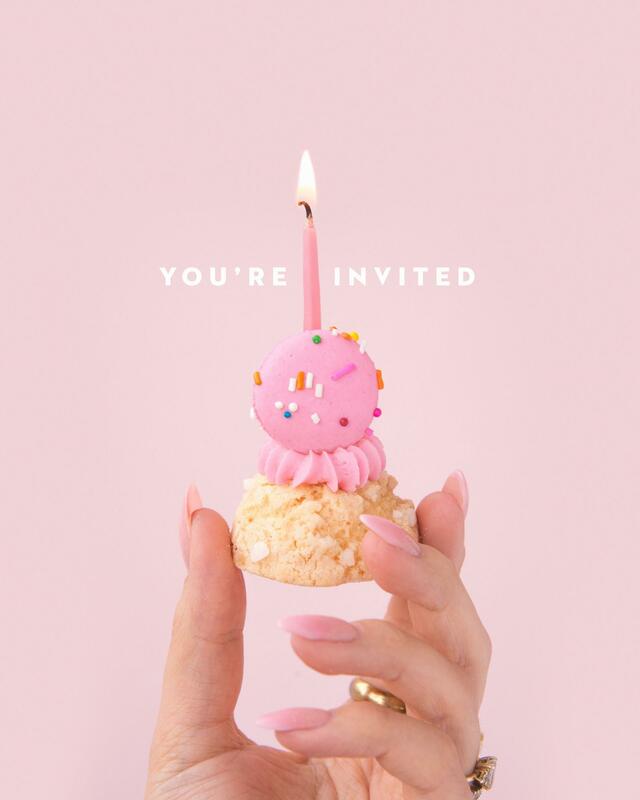 We are celebrating 5 years this Saturday, March 30th the best way we know how– sweet treats and an exciting giveaway! When we first opened our doors on Academy road 5 years ago, we had no idea what the future would hold. What we originally thought would be a little storefront to keep Jenna busy while she worked on wedding cakes in the back turned into two shops, shipping macarons across Canada, and a hard-working team of incredible staff who help us bring our vision to life each and every single day. Had you asked us if this is where we thought we would be when we first opened, we could tell you that the day our doors first opened we had no idea what was ahead. It is thanks to YOU, our customers, that we are where we are today. Without you coming to our shop, waiting in the line ups, offering suggestions on what you’d like to see on our menu next and buying our cooler clear of sweet treats, we wouldn’t be celebrating this birthday! Thank you for coming to our shops time and time again, bringing your friends and family to try a treat, ordering a birthday or wedding cake, and sharing your posts on Instagram. You helped get us to where we are today and we are so grateful. To celebrate 5 years, we are having a birthday celebration at our shop on Academy on Saturday, March 30th from noon until 5pm. We are handing out complimentary mini mac-a-choux to the first 200 customers. Each vanilla chouqette is topped with a mini birthday cake macaron and a candle! We are so excited to celebrate 5 years with you this Saturday! *Contest entry only available by stopping by in person to our Academy road location on Saturday, March 30th. Winner will be drawn at random and announced on our Instagram story. Macarons will be shipped out to the provided local address the first Tuesday of every month. Additional holiday boxes to be sent out when available.